The war has made several people starving for food and living in fear. New York Times reported that in one of Yemen’s largest cities, residents have been reduced to a diet of rice. In another, they sleep overnight in lines waiting for gasoline. Hospitals may soon be forced to close, bombs and shells are raining down ever more thickly and randomly, and in places snipers target anyone brave or desperate enough to walk the streets. Five weeks after the start of a Saudi-led bombing campaign, More than 1,000 Yemenis have died in the fighting. United Nations says that at least 300,000 people have been displaced, forced to hunt for food and fuel in a country bereft of both. Fierce fighting in the port city of Aden has killed dozens of people in the last few days, left neighborhoods in flames and set off a panicked exodus. On Thursday, little more than a week after Saudi Arabia said it was shifting the focus of its military operations in Yemen to make way for political negotiations and humanitarian relief, residents of the capital, Sana, were subjected to some of the heaviest airstrikes since the bombing began. The worsening humanitarian crisis, a deepening civil war that threatens to inflame the regional struggle between Saudi Arabia and Iran and little evidence that either side is winning or seriously pursuing negotiations have raised stark questions about the strategic goals of the Saudi-led military campaign and the international response. 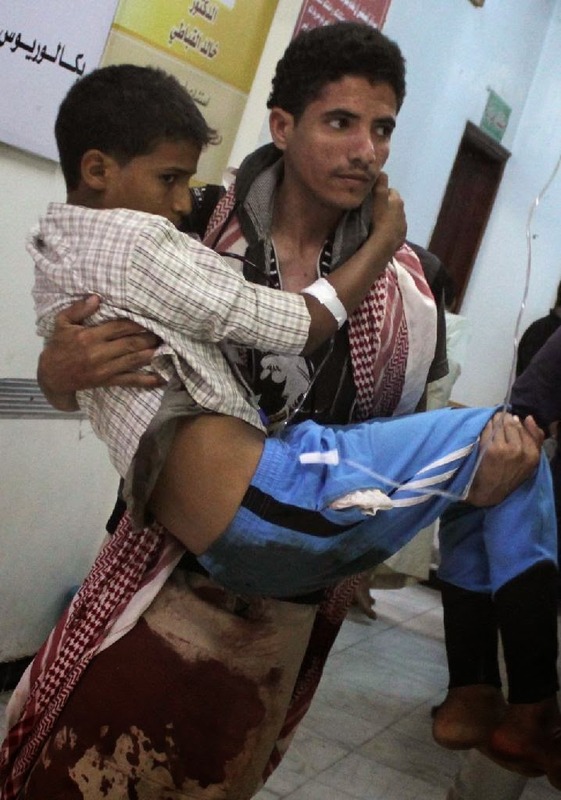 The war has made no good yet but the Yemenis are suffering a lot. No negotiations has took any concrete steps for now but the Saudis say that their forces killed dozens or Irani bakced rebels, while innocents are also part of this disaster. They said in a statement that those rebels attacked on Saudi border.